Hello, lovelies it's good to be back, I hope you had a wonderful summer! I felt a dip and suffered from holidays blues when I came back. Now that September is well established I'm full on into new projects and I'm looking forward to continuing connecting and supporting you with your visual content! 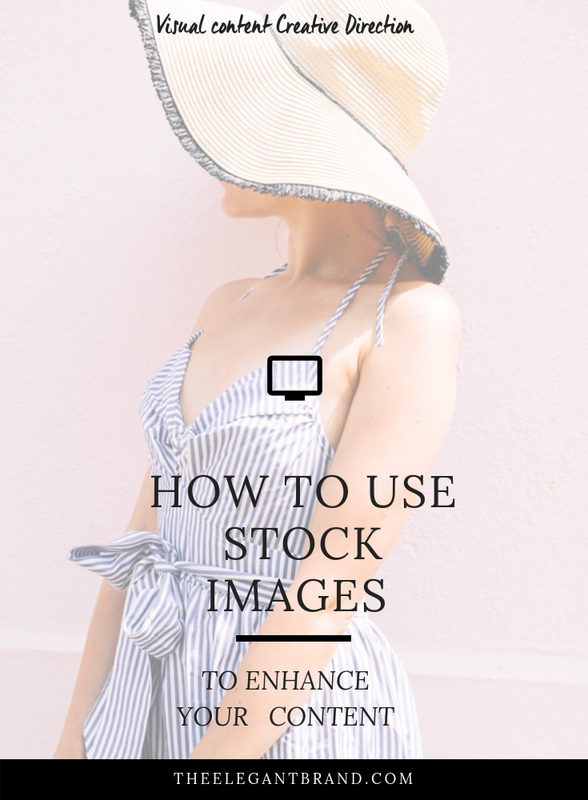 This week on the blog I touch upon using stock photography for your visual content. I understand that visual content creation can be a real hassle for a small business, in this post you will understand the importance of using visual content and what to look for when buying and curating images that are on brand. When it comes to creating killer content that really delivers visuals are key. Whether you’re looking to create an on-brand look for your website, drive traffic through to your email signup via social media, or get your message across in your latest blog post, visuals play a huge role in your success rate. become lost, it’s the visuals that stand out. We process information at an impressively fast rate, and it’s images that we process first, deciding in a split second whether to linger a moment longer on that piece of content, or move on quickly. instant sense of interest, you’re highly unlikely to land a click, an enquiry or a sale. The first step in successfully using stock images is to capture your audience. Beautiful visuals that resonate with your target market will take your content to the next level. Whether you’re aiming to drive traffic through social media or email marketing, or generate a response from the user through your blog content and website, great visuals will capture your audience. visuals play a strong role in your brand identity, with the images and colours that you use being the first thing people usually notice. When it comes to using stock images, the sticking point for many business owners is using stock images that are on-brand. The trick here is to be consistent, and stick with the same source or photographer for your stock images, so that you create a strong visual identity for your business. My Summer Lifestyle Bundle offers a great starter pack, with nine beautiful images in high quality. Find out more here. Stock images can be used across all visual elements for your brand. From your social media posts and header images, to your email marketing, website, blog, Pinterest and even ebooks and digital freebies, stock images provide a great solution to creating a strong visual identity for your business. Instead of spending five minutes here and there, think ahead. Planning for your visual content will make your life easier! Spend a day or two looking for the right images and plan your visual content for the next 90 days it will give you more time to focus on what you do best creating and feel at peace about what images to post!